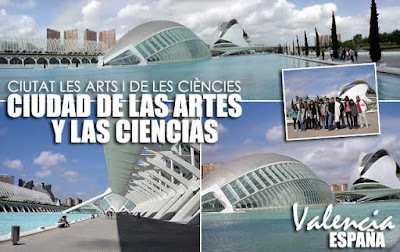 We decided to visit the museum complex of Valencia, the Ciudad de las Artes y las Ciencias, today since May 1 is a holiday here in Spain as well. This wonderful collection of futuristic architecture by Santiago Calatrava is a showcase of modern Spain. A complex of monumental beauty, it was built in the old riverbed of the Turia and is the largest cultural-educational complex in Europe. 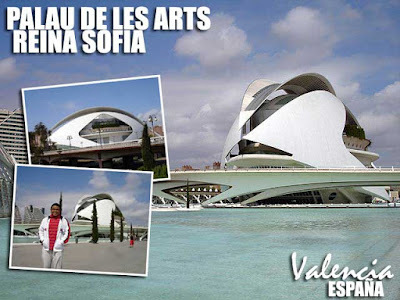 The complex has several component structures, the newest of which is the Queen Sofia Palace of the Arts or Palau de les Arts Reina Sofía, inaugurated in 2006. The structure which looks like a ship sailing in the ocean, has been a venue for events related to the arts. For today, we visited the different museums namely the Museo de las Ciencias Príncipe Felipe, L'Hemisfèric, and the Oceanográfico. 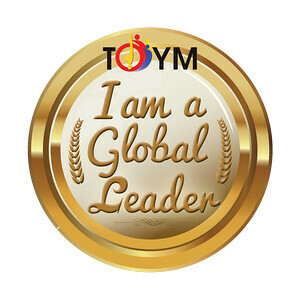 It was good that we were able to get the student group rate which is 15,50€ for the three attractions. 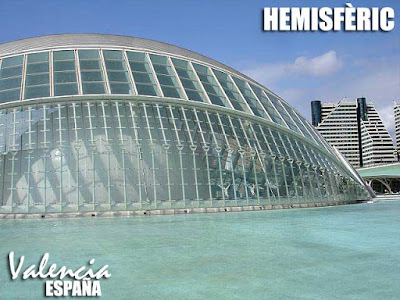 The regular package rate is 30,60€ while if you enter them individually, it's 7,50€ for L'Hemisfèric, 7,50€ for the Museo de las Ciencias, and 23,30€ for the Oceanográfico. 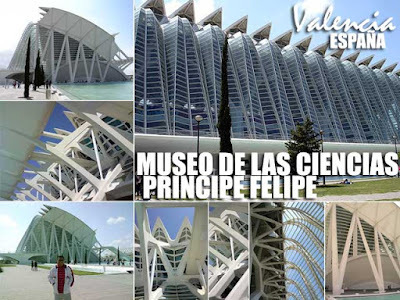 Our first stop was the Museo de las Ciencias Príncipe Felipe which is one of the largest museums in Europe. Covering a total area of 42,000 square meters, the structure is 220 meters long, 80 meters wide and 55 meters high. The concept of the museum is "touching permitted" with thousands of interactive modules and experiments for visitors. Although the museum is targeted at younger kids, it's also a learning experience for older people. We then proceeded to the Hemisfèric for the 1:30 p.m. film showing of Secrets of the Titanic using the large-format cinema, IMAX Dome. IMAX Dome uses the largest frame possible with today's technology, more than 10 times that of the conventional 35 mm film. The headsets they gave out translated the film into four languages namely Spanish, Valencian, English and French. By the time the film ended, everyone was hungry. So we proceeded to Aqua, a popular shopping mall beside the complex, for lunch. Since it was a holiday, shops were closed. But many restaurants were opened. After lunch, we visited the last attraction, L'Oceanográfic. 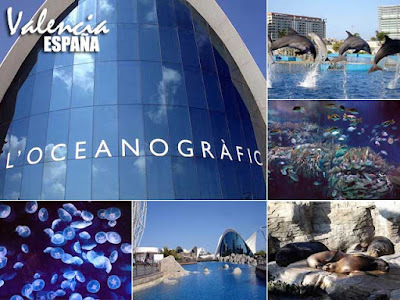 It is the largest oceanographic park in Europe, housing 45,500 examples of 500 different species of marine life in nine thematic underwater habitats. The park was designed by Felix Candela. I enjoyed the exhibits, especially those from the Arctic and Antarctic. We watched the dolphin show before calling it a day. its been said that architect calatrava has a dog that he loves, and when the dog died, he kept the bones and made a bone-structure model out of it, he kept it with him always even in his office and it is rumored that most of his design are inspired by the configuration of the doggie bones... the way the bone thickens towards the joints (fulcrum). Very nice images bro! Really? Wow, that's something new. The Museo does look like bones now that you've mentioned it.